»» Download DShutdown for free! DShutdown ::: a computer program that allows users to schedule the computer shutdown. Using DShutdown you can schedule remote start or shutdown of a computer or several computers in the same network. 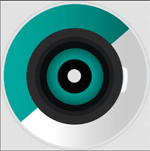 »» Download Image Viewer Enhanced for free! Image Viewer Enhanced ::: a computer program that allows users to view images. Using Image Viewer Enhanced, you can manage and view all your photos. 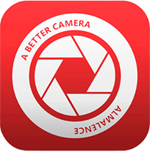 »» Download Double-Finder for free! Double-Finder ::: a computer program that allows users to clean and optimize the computer. Using Double-Finder you can detect and delete all duplicate files. »» Download Mobirise for free! »» Download Paranoia Text Encryption for free! Paranoia Text Encryption ::: a computer program that allows users to encrypt data. Using Paranoia Text Encryption you can encrypt all your files with important data. »» Download 123Backup for free! 123Backup ::: a computer program that allows users to make backups. Using 123Backup can create backups of all your files and folders. »» Download Duplicati for free! Duplicati ::: a computer program that allows users to manage and perform backups. Using Duplicati you can back up your photos, videos, documents, etc..
»» Download Image Watermark Studio for free! Image Watermark Studio ::: a computer program that allows users to apply watermarks to photos. Using Image Watermark Studio you can protect the copyright of your photos. »» Download WinScan2PDF for free! WinScan2PDF ::: a computer program used to create PDF documents. Using WinScan2PDF, you can convert everything you scan into PDF documents. »» Download Nextpad for free! Nextpad ::: a computer program that allows users to work with text documents. Using Nextpad you can create and edit different types of text documents.